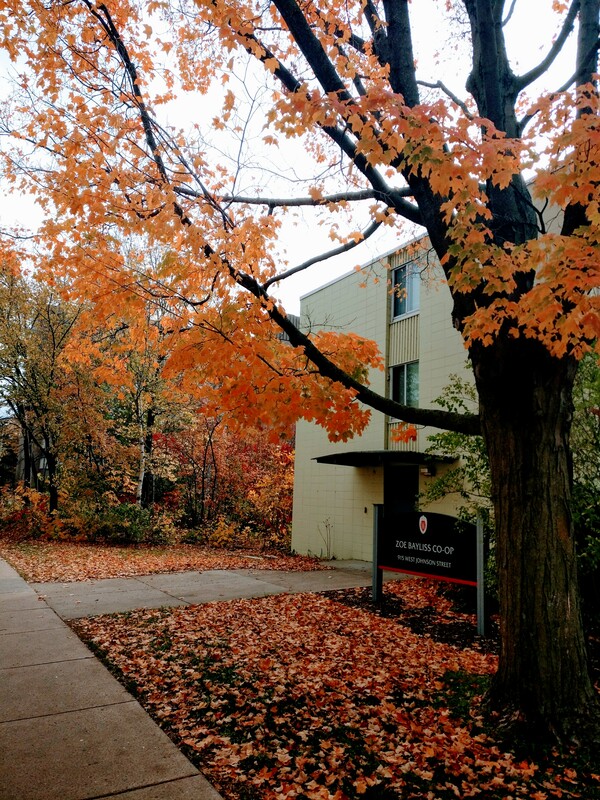 Creating an inclusive home away from home for UW-Madison women. We are now recruiting for the 2019-2020 school year! Please contact zoe_bayliss_house@outlook.com for tours and contract information. The purpose of this organization shall be to create an experience in responsible, cooperative living and to encourage academic and personal exploration in a flexible open, and friendly atmosphere. What is a cooperative and how does it work? The Zoe Bayliss Women’s Cooperative is a community of UW-Madison students who share in the responsibilities for maintaining their housing, such as cleaning and administration, as a way to keep costs as low as possible. Officers are selected to oversee the functions of the cooperative. We hold house elections every year, including one at the first meeting that allows new residents to get involved right away. Offices that are re-elected annually are: president, vice president, kitchen coordinator, work duty coordinator, secretary, and judicial chair. We have a paid cook who cooks two meals – lunch and dinner – per weekday; their price is included in rent. He is always looking for new and interesting dishes to prepare. Residents are on their own as far as preparing breakfast, but the food is provided. Our menu is very diverse to accommodate all the favorites from around the world. Our kitchen is open 24 hours a day so that residents may fix their own food if they desire. Here at Zoe Bayliss we house students from many different backgrounds. Our scholars come from around the country and the world. Living here, residents can gain language experience and learn about cultures from all over the world. Feedback, questions or accessibility issues: susie@cs.wisc.edu.